The vulnerability resides in Facebook's new Poll feature, launched by the social media giant earlier this month, for posting polls that include images and GIF animations. "Whenever a user tries to create a poll, a request containing gif URL or image id will be sent, poll_question_data[options][associated_image_id] contains the uploaded image id," Darabi said. "When this field value changes to any other images ID, that image will be shown in poll." Apparently, if the creator of the poll deletes that post (poll), as demonstrated in the video above, it would eventually delete the source photo as well, whose image ID was added to the request—even if the poll creator doesn't own that photo. 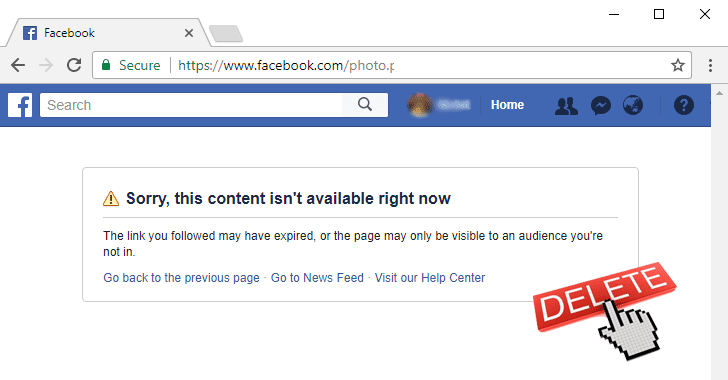 This isn't the first time when Facebook has been found dealing with such a vulnerability. In the past, researchers discovered and reported several issues that let them delete videos, photo albums, and comments and modify messages from the social media platform.